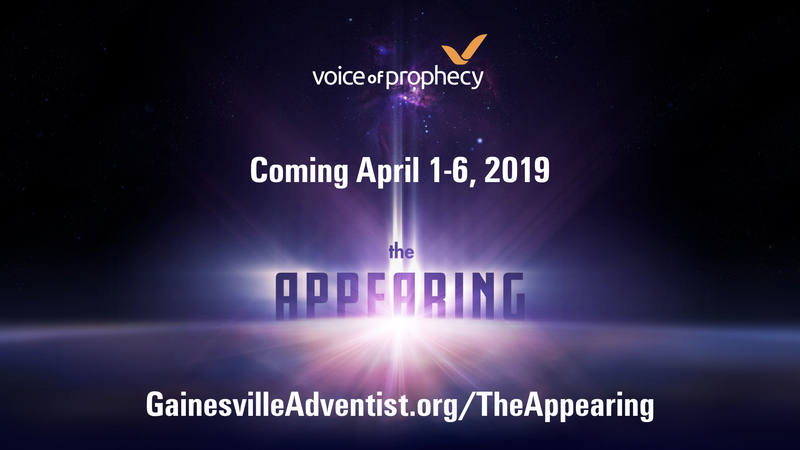 The Appearing Seminar consists of five (5) pre-recorded videos professionally produced by Voice of Prophecy followed by an interactive Q&A session nightly. The Signs are all around us. Ancient predictions and current world events begin to collide as we look back at the biblical signs that point to the Appearing. Discover a stunning prophetic timeline in the Bible that predicted exactly when and how Jesus’s ministry would begin–and how it revealed what the Bible calls “the Abomination of Desolation.” See the validity of the Bible proven through prophecies written hundreds of years before their fulfillment and watch as the case for the Appearing grows. There will be no meeting on Wednesday, April 3. Uncover the five absolute certainties about the Appearing. Then walk through the most popular theories of today and ancient Christianity to see if they hold up against what the Bible actually tells us. This is a Prophecy Series that you won't want to miss! Pre-register on EventBrite today! Pastor Shawn Boonstra is speaker/director for the Voice of Prophecy ministry. His broadcasts, live seminars and books have been a source of inspiration around the globe, and over the years, his live events have been presented on every continent except Antarctica. Each week, he hosts VOP’s flagship broadcast, Disclosure. The program—which features his wife, VOP Associate Speaker Jean Boonstra, and special guests—takes a look at current events and trends, with an emphasis on how the Bible’s perspective on today’s issues is more relevant than ever.